Miss is what I call a Sideboard! Its characteristic lies in the structure, where the lacquered glass joins harmoniously with the aluminum profiles. This gives to the furniture a wonderful design of pure smartness and it has a huge versatility of use. 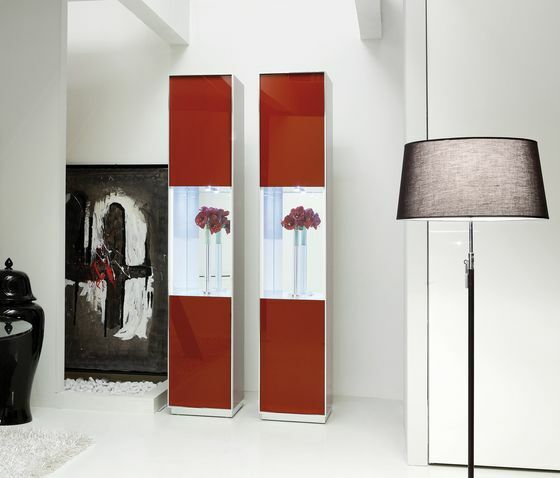 It can be use as a storage unit and if put in a vertical way with one or two leaf doors it isn’t so obvious thanks to the transparent glass, that is put between the two sections of lacquered glass.